Known popularly in the Western world as the ‘messy bun’ or ‘top knot’, the Khopa is West Bengal’s answer to its varying seasons. This simple, every day hairstyle is (literally) custom made for summers that never seem to end, and those winters that are nearly as hot as summers. 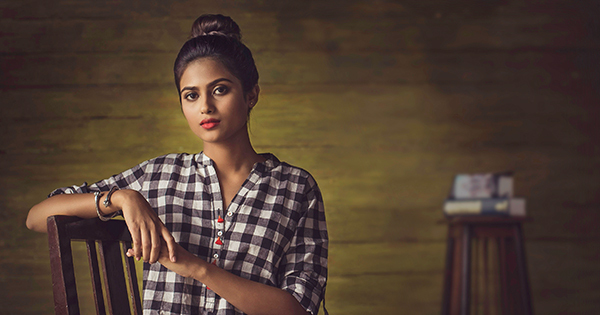 Keep the Bengali Khopa clean and neat when going for a professional look, or mess it up with loose strands when you’re going for that easy breezy look! Hack: Pin a couple of flowers or hair accessories to your bun, and you’re all set for a brunch date as well! Step 1. Smoothen and pull back all hair into a ponytail on top of your head. Step 2. Divide hair into two sections. Step 3. Braid one section into a regular three strand braid,and leave aside. Step 4. Twist the remaining ponytail and twist it around to form a bun. Step 5. Next wrap the braid around this bun and secure in place with U pins. Step 6. Smoothen the front of your hair and your hairstyle is ready.